When taking the sling off, remove the sling from the elbow first, then bend the elbow and remove the handpiece – it is not necessary to detach the elbow strap. 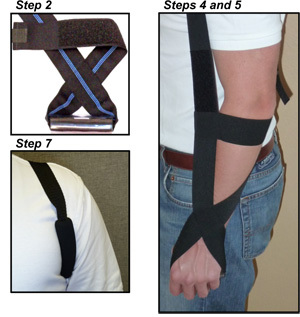 With training and practice, most users are able to put the sling on and take it off independently. To avoid damaging the sling, do not machine wash or dry.